The Camelback East Village, also sometimes referred to as East Phoenix or the East Side, is one of the 15 villages that make up Phoenix. 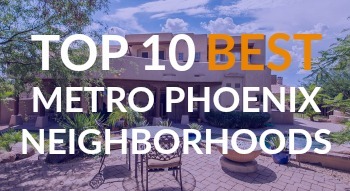 It is adjacent to the suburbs of Paradise Valley and Scottsdale and sits between Piestewa Peak and Camelback Mountain. There are two main areas of activity in the village - 24th St. and Camelback Road and the 44th St. and Van Buren Avenue. Camelback East is home to endless shopping and dining options. Downtown is only a couple of miles away and you can be at the airport in less than 10 minutes. Camelback East is situated in the ideal location with easy access to any amenity you can imagine. 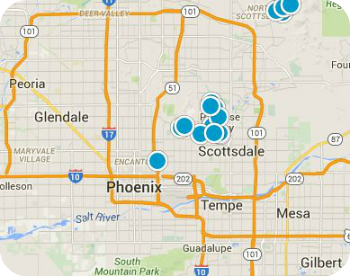 Buying or selling a home in the Camelback East neighborhood of Phoenix AZ? We have the complete MLS inventory of Camelback East homes for sale. Sign up for new listing alerts and be the first to see the latest Camelback East homes as soon as they hit the market.